The great challenge met by the Fire-Tailed Titi Monkey Expedition -- promoted by WWF-Brazil in partnership with Mapsmut, Rastos Consultancy, and the photographer Adriano Gambarini -- was to set foot in remote areas of the Brazilian Amazon and look out for a very little known primate species to collect further information on it. 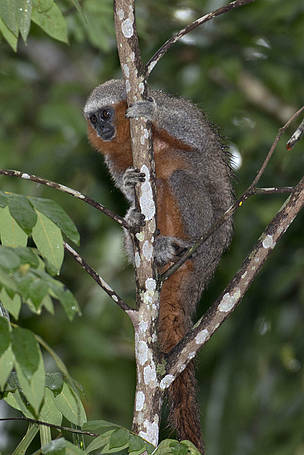 The task was achieved: during the field trip which took place last November, the members of the expedition met with entire families of this small primate from the Callicebus genus, and they were able to capture their images, record them in video, and contribute to increase the amount of information on this species. Those materials are currently being organized and will be made available to the public. 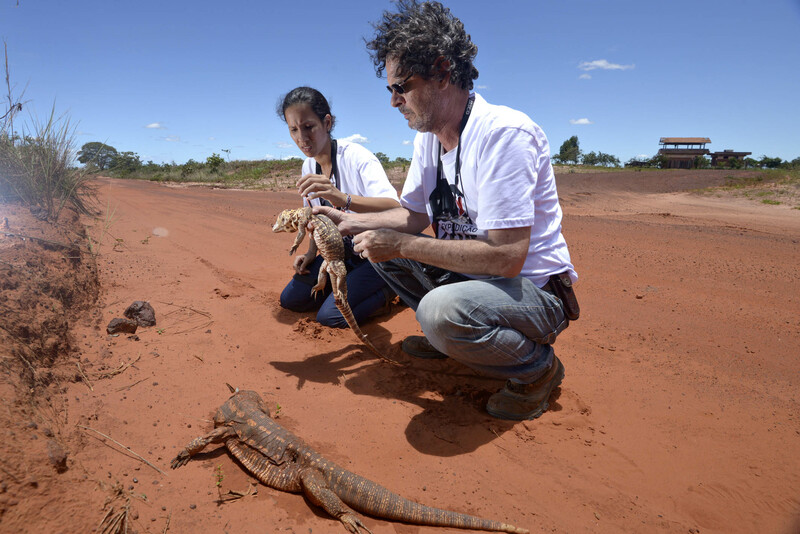 Furthermore, they will contribute to the scientific description of the species – this work is under development by a group of researchers linked to the Emilio Goeldi Museum in Belém (Pará State), in Brazil. New scientific discoveries in the Amazon are relatively common and frequent; nevertheless, to discover a new primate species, particularly from the Callicebus genus, is a rare feat; and it shows that Amazon biodiversity is still far from being entirely known. It was already known that the Fire-Tailed Titi monkey occurred in the area between the Amazonas and the Mato Grosso state; an area which is little known and little explored and suffers a lot of environmental pressures from deforestation, illegal land grabbing, and fire spots. But only now it was possible to map more precisely the area of inhabitance of this animal species. The Expedition made it possible to determine where the Fire-Tailed Titi monkey occurs in an area which boundaries are set, to the East, by the Aripuanã River; to the West, by the Roosevelt river; to the North by the meeting of this two water bodies, close to the Matá-Matá community, in the Apuí municipal district (Amazonas state); and, to the South, by a set of mountains next to the indigenous lands in Northwestern Mato Grosso state. During the field trip, it was verified that the Fire-Tailed Titi monkey inhabits some of the protected areas in which WWF-Brazil works or has worked in the past, such as the Apuí Mosaic areas – for instance, the Aripuanã Sustainable Development Reserve, the Aripuanã State Forest, the Guariba Extractive Reserve, and the Manicoré State Forest –, plus the Campos Amazônicos National Park and the Guariba-Roosevelt Extractive Reserve. All of those areas are located in the states of Amazonas and Mato Grosso. 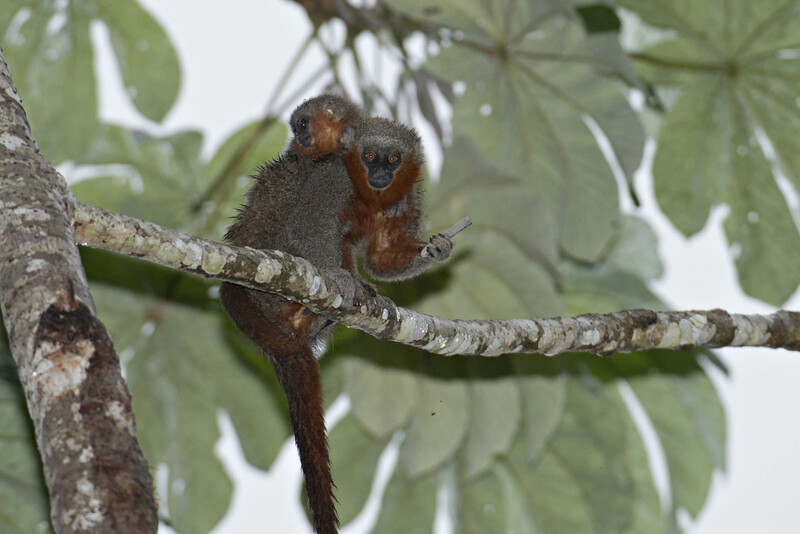 The expedition members also found out that the Fire-Tailed Titi monkey occurs in areas where the Guariba-Roosevelt Extractive Reserve communities collect Brazil nuts. Therefore, this is a situation where it is vital to ensure the continuation of the extractive use of land by traditional populations and, at the same time, the primate’s existence. According to the findings made during the expedition, the worst threats to the Fire-Tailed Titi monkey include habitat loss linked to deforestation, forest conversion to pastures, and illegal timber logging. Primate families were also located within small forest fragments – this is a factor of deep concern, since in such environment the animals become more fragile and susceptible to diseases, suffering from stress and the scarcity of feed. These types of situation endanger the genetic variety of isolated families. Furthermore, there is always the threat of landowners who wish to totally suppress the remaining vegetation, resulting in the disappearance of these resilient (monkey) families. Besides gathering information on the Fire-Tailed Titi monkey, the expedition made it possible to collect data on other mammalian and primate species. Among the records made, there is the occurrence of other two titi monkeys. Further North, the White-Bearded Titi monkey was identified – this is a new species which is also in the process of description. 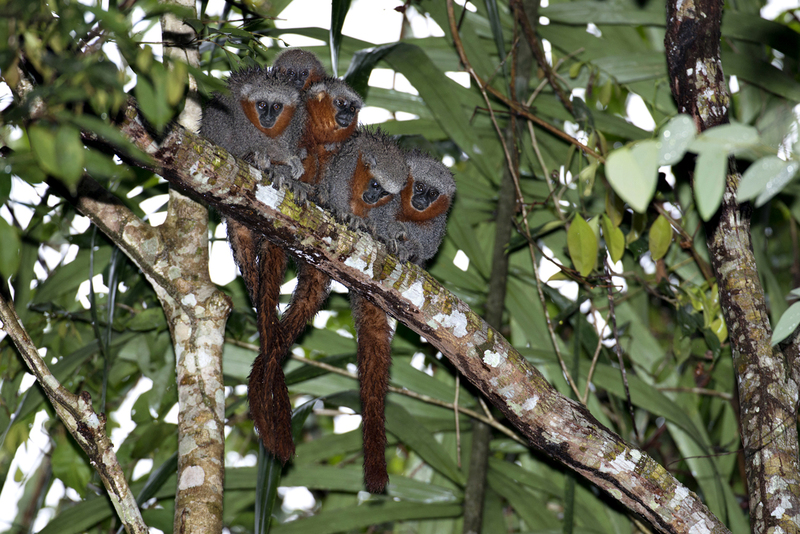 Another identification made was of the barrier separating two primates – the White-Bearded Titi monkey and the ashy titi Callicebus cinerascens, occurring between the Aripuanã and the Juruena rivers. Another animal which was recorded during the field trip was the Hoary Fox (Lycalopex vetulus), located within a Cerrado-Amazon transition area – this is a new, unpublished record, since this was the very first time that this kind of fox was recorded in the Northern portion of the Cerrado, in transition with the Amazon. This discovery enlarges the distribution area for this species. According to researcher Júlio Dalponte, it is necessary to conduct further studies on the behavior of the Fire-Tailed Titi monkey, in strategic places of the Guariba-Roosevelt Reserve. He understands that it is possible, there, to obtain further information and knowledge on that little monkey. 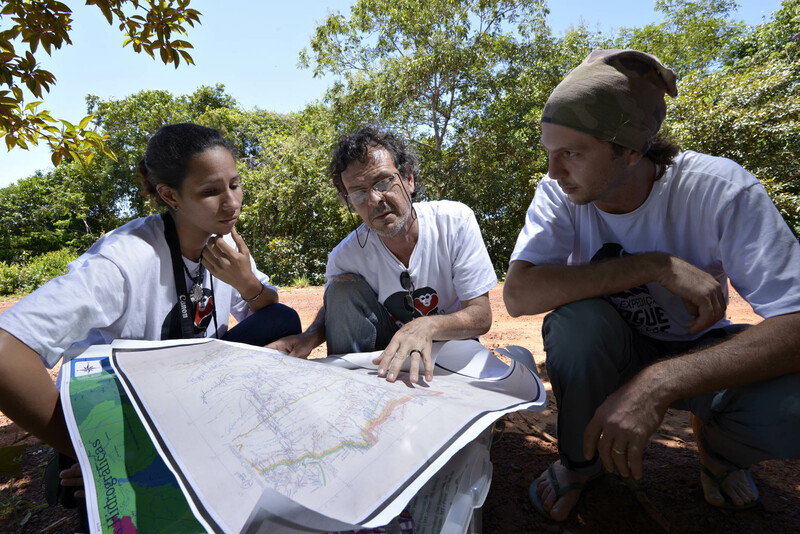 Dalponte also stated that the most important outcome of that expedition was the fact that it was possible to draw the line of the Fire-Tailed Titi monkey distribution area. “We went through the area, we recorded additional occurrences, and we evaluated which rivers and mountains work as geographical barriers for the area”, stated the scientist. The researcher said that, during the field work, it was also possible to produce “better estimates” on the extension and seriousness of the environmental pressures upon the area and to check out the occurrence of species neighboring the Titi monkey, to the South and to the East of the Aripuanã and Roosevelt Rivers Interfluve. 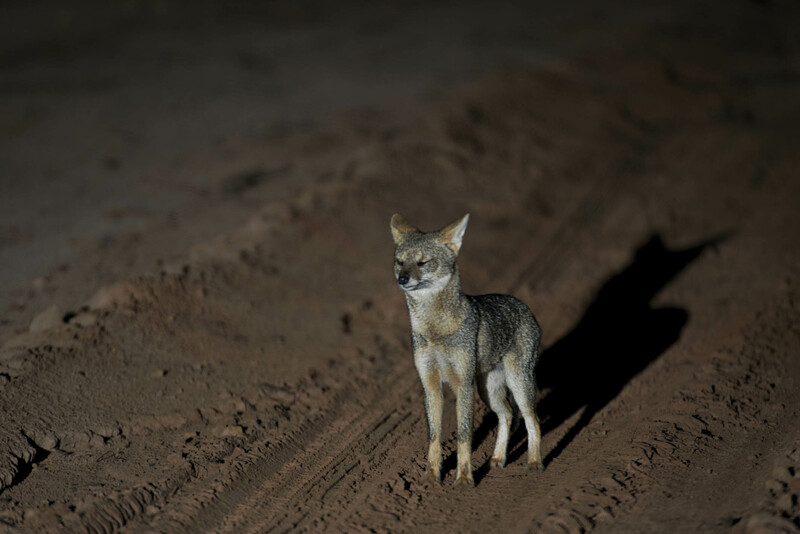 According to WWF-Brazil’s conservation analyst Samuel Tararan, the information and records obtained during the expedition confirm the need of conservation actions for this new species inhabiting an area which is quite restricted and threatened by the ongoing deforestation. “Through an environmental education and research program, the Fire-Tailed Titi monkey may become a symbol of change in society’s and local population’s perception of the relevance of conserving that region’s environments”, said the expert. Samuel Tararan also stated that it is possible for the extractivists and private land owners to gain access to selective markets, once the sustainable use of forest products in areas of the Fire-Tailed Titi monkey occurrence, may open opportunities to ally conservation with added value forest products. The Fire-Tailed Titi monkey was recorded for the first time in 2010, during the Guariba-Roosevelt Scientific Expedition carried out in the Northwestern Mato Grosso state and promoted by WWF-Brazil, Sema-MT (the Mato Grosso Environmental Agency) and by Mapsmut expert private organization. At the time, a professional team collected information on the region, in order to support the management plan design for the four protected areas. During that first expedition, a Callicebus individual was found and named “Fire-tailed” by the team, due to its red-colored tail. In 2011, the collected titi monkey was taken to the Emilio Goeldi Museum in Belém and was “listed” in the Museum’s collection, where since then it has become the object of studies and is in final the process of scientific description.